I love this album! There you go. If you love Neo-Classical and Power Metal and adore, and I mean ADORE the likes of Helloween, Stratovarius, Hammerfall, Gamma Ray and Blind Guardian, then you needn't read any further – just go out and buy this! This American Metal band hails from Townsend, Massachusetts and they have every ingredient you need to perform this type of music with panache, effortless flow and ingenuity. All the players are on top of their game. The fact that they chose to hone their song writing and playing skills for six years after releasing their 2007 debut 'The Dawn Of Enlightenment' is dedication to their craft. Central to the band's development are brothers Adam and Joe Kurland, who has even set up his own label to release this. Whereas vocalist Adam soars between Michael Kiske, Timo Kotipelto and Virgin Steele's David DeFeis, guitarist and drummer (yes indeed) Joe has all the Neo-classical sweeps, arpeggios, and shredding to fill an Yngwie J. Malmsteen album, not to mention the powerhouse double bass drumming of a Jorg Michael or Mike Terrana. However, naturally in the live arena they utilise the session drummer Tom Vieira. Chad Fisher backs Joe Kurland up on guitars keeping the frenetic rhythm racing along whilst bassist Thomas Preziosi holds down the bottom end and the flamboyant Peter Rutcho has his synths and keys flowing all over the place with numerous solo interplays with Joe Kurland. What's not to like as Adan Kurland is able to morph his Kiske-like chest vocals into a stratospheric Kotipelto-like head voice at will yet also sound like David DeFeis in places like on the extremely melodic opener 'Eternal Mind' that features some nice scale changes for the more technically minded of you. The Egyptian-tinged instrumental 'Horologium' (a small and faint constellation in the southern sky – a Latin transliteration of the Greek word for clock) is a full flowing melodic guitar romp over a standard mid-paced beat, very reminiscent of the stuff Mike Varney's prodigies were extremely adept at in the 1980s and sadly largely missing from today's styles. Produced, engineered, mixed and mastered by the band themselves, there's plenty of Power Metal references on 'Elements Of Creation' and Joe gets all Neo-Classical on 'Reflection Divine' but honestly every song has something interesting to say. 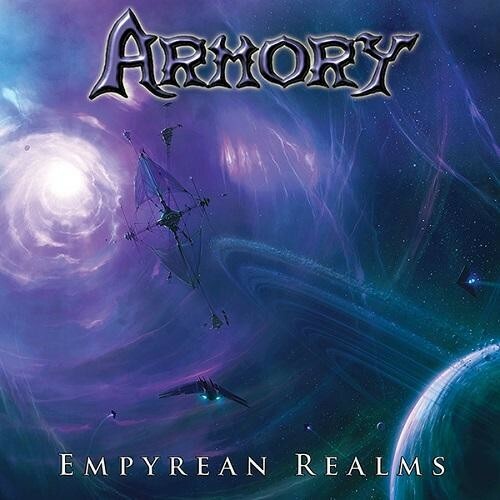 The themes are based on metaphysics, cosmology, epic stories and the power of human will which is a change from their fantasy inspired debut, but all the same, it's Melodic Power Metal that's exceptionally well played and brilliantly integrates Progressive elements, Neo-Classical guitar solos and an epic atmosphere (to paraphrase a few quotes from their website). What's not to like?